Employers continue to struggle with how to deal with the repercussions of employees’ online commentary. 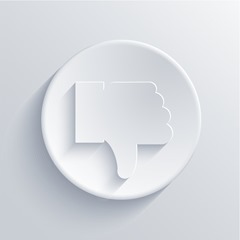 When an employee is critical of his or her employer, supervisor, or coworkers on Facebook or other social-networking site, the employer’s knee-jerk reaction is often to discipline the employee. Sometimes, that is the appropriate reaction. And, sometimes, it is not. How to tell which reaction is appropriate for any given comment (or series of comments) is the hard part. I encourage employers to handle the situation as if the comments were made at a bar over the weekend or on the sidelines of a softball game-anywhere outside of the workplace-in an effort to put it into context. I then counsel them that, if they still think a response of some sort is warranted, to proceed just as they would in any other workplace investigation. In other words, it’s best not to get all twisted about the fact that the conduct occurred online or that the comments were made via Facebook. A recent case from the 10th Circuit is a great example of that advice applied. In Debord v. Mercy Healthy System of Kansas, Inc., the employee, Ms. Debord, was criticized by her boss, Mr. Weaver, after which, he tried to give her a hug. (Hugging is, in my opinion, not all right at work. I am not alone in this position, either. See NPR, “A New Rule for the Workplace: ‘Hug Sparingly’“). In response, Debord posted-from her workplace computer, during working time-several posts to her Facebook page. The posts contained comments critical of her employer, of Weaver, and of co-workers. And some of the posts accused Weaver of unlawful and/or unethical behavior. Several co-workers saw the posts and reported them to management. Later that day, Debord was meeting with the company’s HR Director about an unrelated issue when Weaver interrupted and confronted Debord about the posts. Debord denied having written any such comments. Weaver brought in his laptop and showed the HR Director the posts on Debord’s Facebook page. Debord again denied writing them. Debord sued on a number of bases but her termination was upheld by the district court and on appeal. In other words, the 10th Circuit didn’t take issue with the termination of an employee because her Facebook comments caused disruption in the workplace. Nor should there be an issue. The employee used company resources to make false allegations about her boss, which were seen by several of her co-workers. This conduct, to be sure, resulted in a disruption. Where there is an actual disruption caused by an employee’s activities-online or offline, there may be a legitimate basis for discipline. But not always. Here, the employee’s comments were elevated to a more serious level because they accused her boss of unlawful and/or unethical conduct. That is a legitimately serious issue that the employer should address appropriately. Debord v. Mercy Health Sys. of Kan., Inc., 737 F.3d 642 (10th Cir. 2013).